37 Comments on "Cake Strips to the Rescue"
Whaaaat. I didn’t know these existed. Now I won’t have to cut the top off of my cakes, lol. Where do I find the wonderful cake strip. Never knew that there is a solution to the ‘cake dome’. I am so excited. I love that you are giving recipes that make smaller portions. That is the way life used to be, before America started Super Sizing everything! Thank you for that. If we need to we can always double the recipe! Love your recipe!! It is easy and fast to make it for after dinner or afternoon tea. My kind of cake! 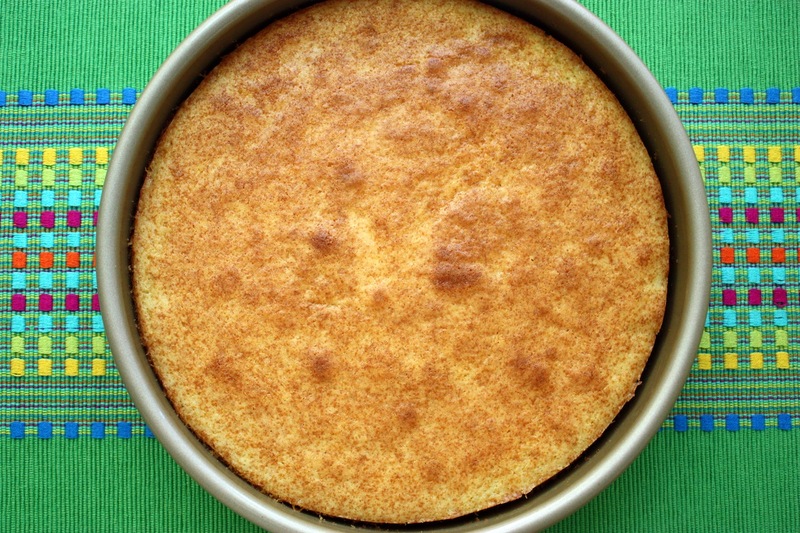 Granny called it ” just plain cake ” and it was delicious! Sometimes ice cream, sometimes fresh peaches, blackberries. She would make a syrup and pour it over the top. It was the best because she made it. I cook it all the time to this day. Grannies receipt was just about identical to yours. Thanks. Take care. P.S. great to see you after all these years. I loved your show. I always burned the thanksgiving dinner rolls until i used a light silver colored cookie sheet. No more dark or burnrd rolls..
Cake strips are always optional. I’ve used the cake strips, but feel they sdd too much moisture to the oven. 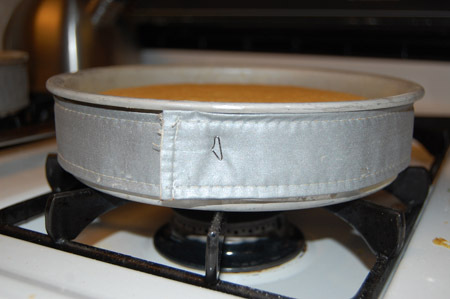 Also, I believe the best baking tins are made with anondized aluminum like Fat Daddio’s or Alan Silverwood’s. Is. 3/28/. Me. Want. To. Bake. Him. Good. Cake. They won’t work for bundt cakes. If your bundt’s are getting too dark on the outside, reduce the oven temp 15-20 degrees, so it will bake longer and slower. I don’t think the differences in cooking are due to the color of the pan. That would only matter when there is a light source that is heating the material – like if something were out in the sun. Our ovens don’t heat with a light source, so the difference comes down to the materials. 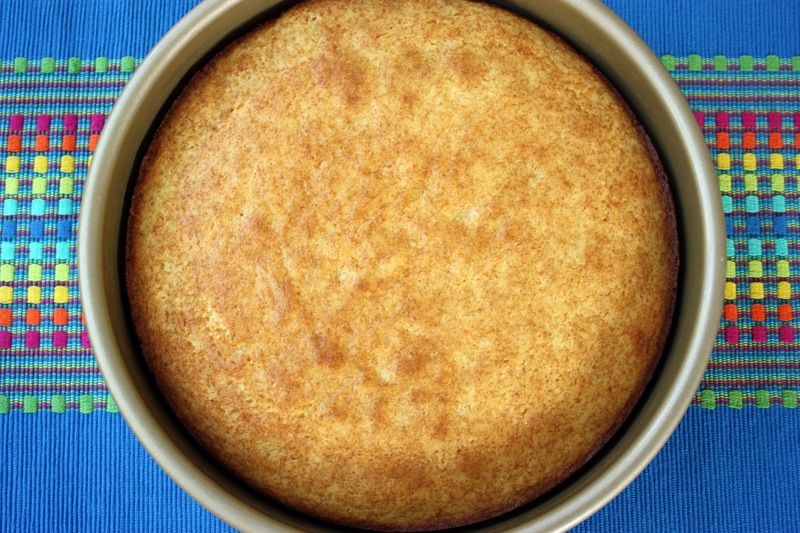 Looking at your photos, it seems like the Sonoma pan is thicker and therefore has will store more (heat) energy, making your cake cook faster. Kind of like the difference between an aluminum pan and a cast iron pan. Some of the coatings can also affect the heat storage and transmission too. Well Neutron Boy, you may call yourself an engineer, but in the kitchen you are not one. The color of the cake does make a difference in how a cake comes out. In the darker color cake pans you have to reduce the heat by about 25 degrees and cook longer in contrast to a silver light colored pan. I used dark colored pans for years and couldn’t find out why they always came out too done. I finally read an article in King Arthur I believe and they set me straight. It has nothing to do with outside light vs inside light, which is crazy when it comes to baking a cake. Like my aeronautic engineer husband used to be extremely smart, but you had to tell him to come in out of the rain. Good one! That was funny and informative. I have been a baker all my life and with my experience the aluminium pans are the best to use for any type of cakes, cheesecakes etc. I never get any burnt sides and I never have to reduce my oven. 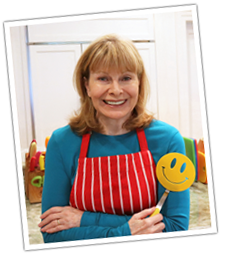 Happy baking and Jenny your recipes are very good. Have done many! I found your comment interesting. Your theory that the left-hand pan is thicker is difficult to verify because it could just be that it has a thicker rim, but the baking surface is the same thickness. I looked it up on the internet and found that several website authors are absolutely certain that dark-colored metal absorbs heat faster than light-colored metal–they specifically said heat, not light. Is that possible? Could the color of the metal really have to do with how quickly or slowly they absorb heat, even in the absence of light? The mystery deepens for me because they also recommend covering foods with aluminum foil to avoid the food over-browning–perhaps because the foil reflects heat (and not just light)? I have wondered if it could be the conductivity of the metal, with different metals absorbing heat at different rates. Thing is, it seems most pans are made of aluminum or a combination of aluminum and steel. The dark color comes from a coating. I’m going to keep looking for a scientific source that states dark colors absorb heat in the absence of light to check this theory. Neutron Boy, I will have to differ and nothing to do with engineering. The pans that should be used for baking is aluminium professional grade ones. I have never gotten any burnt sides. Do the baking strips work on bundt pans? I don’t think they are wide enough but you might find more info with a google search. Enjoy your blog! I have a big collection of Williams Sonoma Goldtouch bakeware. I have discovered, however, that because of its nonstick properties, I need to treat these pans as if they were “dark” and lower the oven temperature by 25 degrees. Also, I often have to reduce the baking time slightly to get the results I want. My 35 yr. old silver pans, while not as attractive, do not require any special treatment. Hope this helps. This is great information. I never thought of reducing the heat with the Goldtouch but I will next time. Thank you for sharing. I plan on making baking strip out of an old tea towel. Thanks for the idea. Love the pics to show the differences between the cakes. You are great! Can you make a chocolate cake with out vegetable oil. Can you do any recipes in pounds and ounces. Would you like to share some good recipes in bigger amounts. Can I make a chocolate cake without vegetable oil? – No. Can I do any recipes in pounds and ounces? – No, but I have posted a metric conversion chart in my blog. Would I like to share some good recipes in bigger amounts? I am only sharing the things I cook at home… this website & videos are just a hobby. I would love to see more how to video’s. I love watching you, you are so funny. Please, please make more! Jenny, I have never heard of the cake strips. I will definitely buy some cake strips for sure because my cakes came out darker at the edge. I ordered some of the cake strips and they work just like you say! Can’t believe I’ve baked all these years without them. Also I did find where I could download your cookbook (it didn’t show up on my iPad but was quite obvious on my computer)… However, your cookbook which I ordered from Amazon came today and I am so glad I ordered it. Loved your photography and your personal comments. Of course the recipes are great, too! I had breast cancer in 1991 so very glad to see the proceeds go for that cause. I’ve never seen a cake strip or even heard of it. Whats the science behind it’s use? I understand it needs to be wet but how does it prevent the cake from rising in the middle and browning too much on the sides? I’ve never even seen this item in stores that sell bakeware. Give us more videos. Love watching you cook and bake. Thanks Jenny. 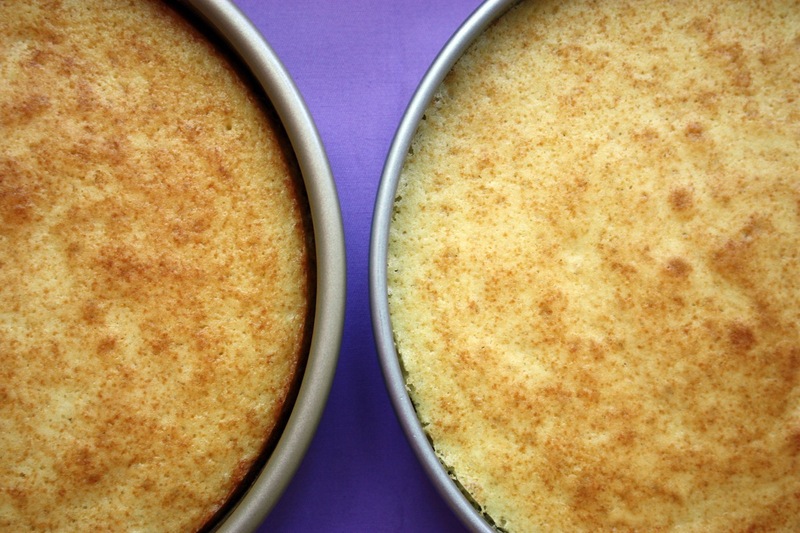 When you bake a cake the regular way, the outside edge of the cake bakes faster than the middle because it’s against the rim of the pan, which is hot so the edge of the cake gets more of the heat. That’s why the edges tend to be dry and over baked. And by the time the middle starts to cook through, the batter has nowhere to go but up, which creates the dome. By putting cold, moist material around the outside of the pan, you’re helping cool the outside, allowing the cake to bake more evenly. hope can see more videos of all yr recipes. Can tell me which place I can get all those wonderful bowls,cups, spatula which u used. they are beautiful. I find most of my colorful items at places like Sur La Table, Pier One, World Market, Target, and even some hardware stores.